Pursuant to Section 5 of the Voting Rights Act of 1965, 42 U.S.C. 1973c, jurisdictions covered by the Act's special provisions must obtain preclearance of any redistricting plan prior to implementation. After January 20, 2009 a well orchestrated plan was put into place with the hopes of ensuring that this country never repeats the outcome of the 2008 election. Two mechanisms thought to be easily implemented on the state-level by Governors, changes to voting laws and post-census congressional map redistricting, are now under question by the US Department of Justice. Up on deck is Texas Governor Rick Perry. 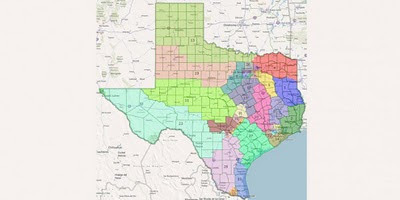 This past July, Texas Governor Rick Perry signed a congressional redistricting plan that is said to violate Section 5 of the Voting Rights Act of 1965 . The plan would split and diminish the Latino votes of Texas Congressional District 23 and Congressional District 27. Both districts have a large majority Latino populations - District 23, 55% and District 27, 68%. Perry's plan would make it very difficult for Latino voters to elect their chosen candidates. Essentially, Perry's plan would ensure GOP victories. Governor Perry doesn't have such power to make a decision like this without the approval of the US Department of Justice. The State of Texas long had a history of racial discrimination in the voting process, so pursuant to Section 5 of The Voting Rights Act of 1965, Texas must have all changes to elections laws and redistricting reviewed and approved by the US Department of Justice. "adopted, at least in part, for the purpose of diminishing the ability of citizens of the United States, on account of race, color, or membership in a language minority group, to elect their preferred candidates of choice to Congress." "violates Section 5 of the Voting Rights Act in that it was adopted, at least in part, for the purpose of diminishing the ability of citizens of the United States, on account of race, color, or membership in a language minority group, to elect their preferred candidates of choice to the Texas House of Representatives." Governor Perry has also sought to further cement a GOP victory with his recent changes to the Voter ID Law in Texas. In May, Governor Perry signed Texas Senate Bill 14 making dramatic changes to the states Voter ID Laws. Voters in Texas will be required to have an approved form of identification in order to cast their ballots. The approved forms of identification have been designated by the legislature as a state-issued ID card or driver’s license, a military ID, a concealed handgun license issued by the Texas Department of Public Safety, a US Passport or a state-issued Election Identification Certificate. The Election Identification Certificate has been described as a free ID issued to a person specifically for the purpose of voting. An individual must request the certificate, thus adding an additional process for voters. The issue around this legistlation lies in the Election Identification Certificate. The Department of Justice sent a letter to Texas Board of Elections citing multiples concerns. "In a Friday letter officials wrote that they need to know more about how the state would alert voters to the changes to the law. Federal officials also want a detailed description of when and where the state will make free identification certificates available, as well as specifics on how they will educate the public about when such certificates will be available. Texas officials said that 605,576 residents do not have a Texas drivers license or photo ID card. DOJ wants to know how many of those residents without IDs have Spanish surnames." Voting should be easy in the United States and not some long drawn out complicated process. There is no need for the changes to the Voter Id Law in Texas or any of the other states that have made changes this year. 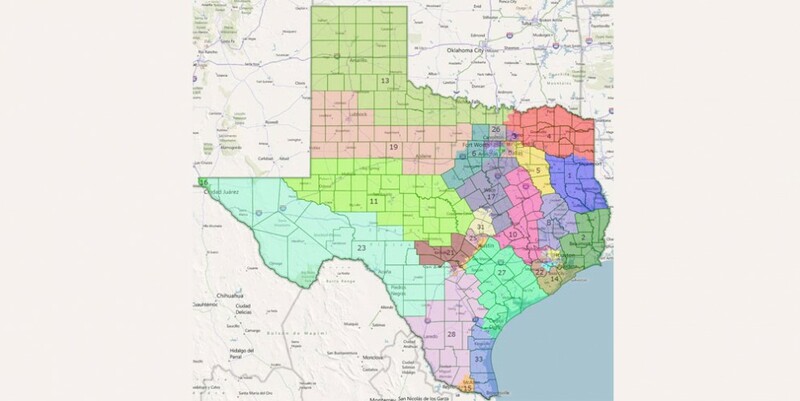 Should the Department of Justice give Texas the "stamp of approval" on Governor Perry's congressional redistricting map and/or voter id law changes? Why is Texas making changes to their voting laws? Will Governor Perry's changes make it harder or easier to vote? Are Governor Perry's changes discriminatory? Is Section 5 of The Voting Rights Act of 1965 still needed?